Mom there's nothing to do! 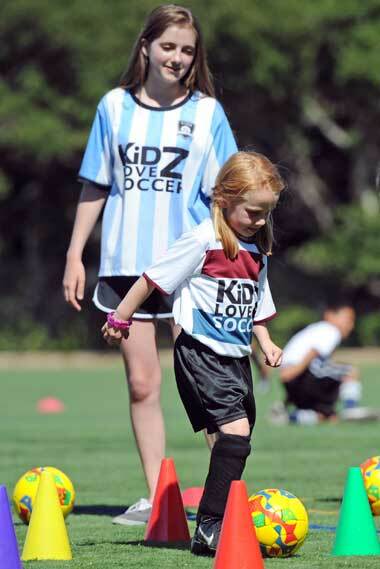 Kidz Love Soccer has the cure for your child's summertime blues! Our weeklong half-day or full-day youth soccer camps are perfect for kids ages 4 ½ to 10 years. Our instructors who used to be kids themselves keep things moving with the perfect combination of skill-building activities and fun diversions.